Welcome to Music Friday when we bring you feel-good songs with jewelry, gemstones or precious metals in the lyrics or title. 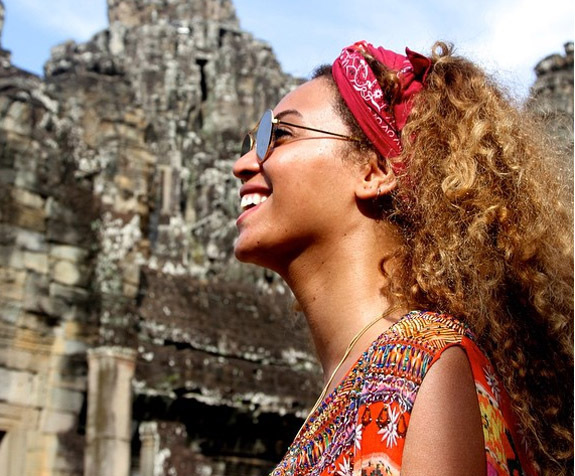 Today, we feature Beyonce Knowles falling in love on the Fourth of July and cruising the world for pearls in "Summertime." In this 2003 collaboration with rapper P. Diddy, Knowles celebrates that special moment when a woman knows she’s finally found her true love. Very appropriate for this holiday weekend, Knowles states that she “felt our love begin” on the fourth day of July. In P. Diddy’s rap at the end of the song, he says how much he loves her and how she brings out the best in him. He also promises to take her on a summertime adventure, which includes a search for fine jewelry. “We can cruise the world for pearls,” he says. Knowles acknowledged early in her career that “Summertime” was one of her favorite songs. It was part of her set list for both the “Dangerously in Love Tour” in 2003 and the “Verizon Ladies First Tour” in 2004. Her performance of “Summertime” in front of more than 20,000 fans in New York City led MTV News to comment that Knowles “stepped in the name of love” during the breakdown of the song. We hope you enjoy your holiday weekend in the great outdoors with friends and family. And we invite you to kick off the festivities on a high note with Knowles and P. Diddy performing “Summertime.” Check out the video and lyrics below. Written by Beyoncé Knowles, Angela Beyincé, Sean Combs, Steven "Steven J." Jordan, Adonis Shropshire, Varick "Smitty" Smith, Mario Winans. Performed by Beyonce Knowles, feat. P. Diddy.